Due to a legal battle related to trademarks, we decided to change our name to Bootlin at the beginning of 2018. The company was not sold or purchased, it is still owned by the same people, and driven by the same team of engineers. This change of name obviously took a lot of time, which could have been used for other more productive contribution activities, but it’s finally done, and in 2019 we can move on and leave this legal battle behind us. See our blog post for more details. In 2018, we contributed to the 4.15, 4.16, 4.17, 4.18, 4.19 and 4.20 kernel releases a total of 1365 commits, putting Bootlin regularly in the top 20 companies contributing to the Linux kernel. Thanks to a successful crowdfunding campaign launched in February, we have been able to dedicate enough time to develop and upstream a Linux kernel driver and associated user-space library to support hardware-accelerated video decoding on Allwinner processors. This was a massive effort as it required discussing with the Linux kernel community a new set of userspace interfaces to support stateless video decoders. The base of our driver was merged in Linux 4.20 and supports only MPEG2 decoding. Support for H264 and H265 decoding is ready and has been posted several times, but discussions on the userspace interface are still on-going. See our numerous blog posts and especially the end of year status. 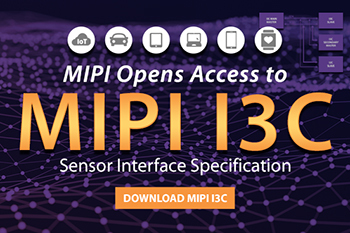 We have developed and contributed a brand new Linux kernel subsystem to support the MIPI I3C bus, a modern bus offering an alternative to SPI or I2C. Being vastly different from I2C, it required a completely separate subsystem located in drivers/i3c/. Along with the core subsystem itself, we developed a driver for the Cadence I3C master, and a driver for a Cadence I3C GPIO expander. See our blog posts on I3C for more details. We contributed a new interface called exec_op for NAND flash controller drivers, which allows the MTD subsystem to more easily support optimized NAND flash controllers and vendor-specific NAND commands. This new interface was originally developed for the Marvell NAND controller driver, but a number of other drivers have been converted since then, and all new drivers make use of his interface. See our blog post for more details. We contributed support for the Microsemi VSC7513 and VSC7514 MIPS processors, with the base support (irqchip, pinctrl, gpio, reset, DT) but more importantly a massive switchdev driver to support the major feature of these processors: a built-in gigabit Ethernet switch. Our switchdev driver supports bridging, STP, IGMP snooping, VLAN filtering and link aggregation. See our blog posts about platform support and switchdev support. We contributed a new subsystem called spi-mem, which allows to support SPI flash memories in a generic way, re-using SPI controller drivers for regular SPI devices, SPI NOR flashes and SPI NAND flashes, instead of having separate controller drivers as was done until now for SPI NOR support. On top of spi-mem, we added support for SPI NAND flash memories to Linux. 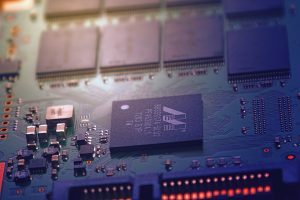 See our blog post on spi-mem: bringing some consistency to the SPI memory ecosystem. We contributed a number of drivers for Cadence hardware IPs: Cadence MIPI CSI receiver, Cadence MIPI CSI transceiver, Cadence DSI encoder, Cadence PCIe host controller, Cadence PCIe endpoint controller and as detailed above Cadence I3C master controller. On Armada 7K/8K, we added support for the NAND controller and the thermal sensors. On Armada 37xx, we added cpufreq support and the first pieces of suspend/resume support. Allwinner platform support improvements: of course the Allwinner VPU driver detailed above, but also general improvements to the Allwinner A83 support (for which we delivered a complete BSP for a customer), improvements to the sun4i display driver (especially support for YUV planes, and MIPI DSI support on Allwinner A33), improvements to the sun8i-codec audio driver, and improvements to the AXP209 and AXP813 PMIC drivers. For Microchip/Atmel platforms, we continued our maintenance work, with a focus this year on reworking the representation of the platform clocks in the Device Tree. In total, we contributed 172 commits to U-Boot in 2018. We continued to be very active in the Buildroot project, with Bootlin CTO Thomas Petazzoni acting as a co-maintainer of this project. We contributed 431 commits to Buildroot in 2018, but more importantly as a co-maintainer, Thomas reviewed and merged close to 3000 patches in 2018. Thomas also participated to the Buildroot Developers Meeting after FOSDEM, the Buildroot Hackathon, and the Buildroot Developers meeting before ELCE. As part of using the Linux Test Project for one of our customers, we contributed a small number of fixes, and we have more to contribute in 2019. We made our Elixir Cross Referencer project easier to customize, so that contributors can add support for a new source code repository through a single plugin file, instead of having to modify the main source files. Thanks to this, we currently index 8 projects on https://elixir.bootlin.com/. For a German customer in the healthcare industry, wrote a complete U-Boot, Linux and Buildroot BSP for a custom NXP i.MX6 platform. For an international company in the TV/set-top box industry, worked on adding support for top-level parallel build to Buildroot. For a Netherlands based customer in the gaming industry, wrote a complete U-Boot, Linux and Buildrot BSP for a custom Allwinner A33 platform, with significant boot time optimization to quickly boot up to a Qt5 OpenGL application. For a Spanish customer, brought up a PCM1789 audio codec connected to a NXP i.MX6 processor, and for an Italian customer, brought up a CS4272 audio codec connected to an Allwinner A20 processor. Under Linux, of course! We continued working for a major US customer, delivering an i.MX6 and SPEAr600 Linux BSP based on Yocto. Our work in 2018 was mainly focused on supporting secure boot on i.MX6 (see our talk at ELC on this topic) and porting a modern version of U-Boot on the SPEAr600 platform. For a customer in Chile, we worked on supporting a OV5640 camera sensor connected over CSI to an Allwinner H3 platform. Thanks to this, we made a significant number of improvements to the OV5640 driver. We have continued to maintain toolchains.bootlin.com, by keeping the toolchains reguarly updated, and adding support for the RISC-V 64 bit architecture. See our blog posts. At Kernel Recipes, Grégory Clement gave a talk about MMC support in Linux. See our blog post about this event. At Alpine Linux Persistence and Storage Summit, where Miquèl Raynal and Boris Brezillon gave a talk about their work to bring SPI NAND support to Linux. See our blog post. Maxime Ripard attended the X.org Developers Conference, see his report from the event. A large part of the team attended the Embedded Linux Conference Europe, where we gave three talks (support for stateless video codecs in Linux, networking from the MAC to the link partner, SPI memory support in U-Boot and Linux), 2 tutorials (introduction to kernel driver development, introduction to Buildroot) and 2 demonstrations (Allwinner VPU work, and switchdev driver for Microsemi platforms). See our report from the event and our selection of talks from other speakers. Right next to the Embedded Linux Conference Europe, Maxime Ripard attended the Media Summit to discuss the V4L Linux subsystem, see his report, while Maxime Chevallier attended the Real-Time Summit, see his report. Antoine Ténart attended the Linux Plumbers conference, see also his report. In 2018, we gave our Embedded Linux, Linux kernel, Yocto Project and Buildroot training courses on-site in the United States, Portugal, Belgium, Germany, France, Spain, Serbia, Greece, Bosnia, Finland and Switzerland. As you can see, we travel all around the world to teach our training courses. Of course, we continued our public training sessions organized in Avignon (France), given in English by Bootlin founder and CEO Michael Opdenacker. In 2018, we made 217 commits to our training materials Git repository, showing our continuous work to keep them updated. Our training materials remain all freely available under a Creative Commons CC-BY-SA license, as they have been since Bootlin creation fifteen years ago. We moved our office in Toulouse mid-2018 from a 100m² surface to a 180m² one, offering more room for the existing team, and room to expand the team in the coming years. As of January 1, 2019, we have a team of 8 engineers working in Toulouse. We moved our office in Lyon end of 2018 from a small one room office of 30m² to a full office of 100m², here as well to expand the team in the coming years. As of January 1, 2019, the team in Lyon has 2 engineers, but we hope to increase this number soon (see Recruiting below). Maxime Chevallier joined us in February 2018, and has since then been mostly working on networking topics on Marvell platforms, but also a few other engineering projects. Paul Kocialkowski joined us in March 2018 for an internship focused on the Allwinner VPU development and then was hired as a full-time engineer starting November 2018. Thanks to our office expansion in Lyon, we have an open position for a Embedded Linux and Kernel engineer with existing experience in Lyon. See our blog post (in French) for more details. We have openings for several internships in 2019, on Linux, U-Boot, Buildroot and Elixir related topics. See our blog post (in French). Donating 1,024 EUR to Framasoft, an organization whose goal (in addition to supporting Free Software) is to decentralize Internet services. For example, they made a huge effort to release PeerTube in 2018, a peer-to-peer and of course Free Software alternative to centralized video hosting solutions. Donating 1,024 EUR to Wikimedia France, to support free knowledge sharing through projects such as Wikipedia and Wikimedia Commons. Donating 1,024 EUR to April, a French organization doing terrific work to promote Free Software, to follow the evolution of national and European law, and to animate campaigns to keep our political representatives aware of the needs of Free Software developers and users. 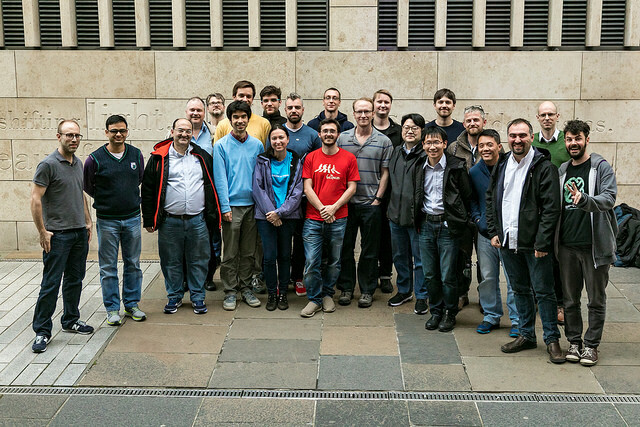 We also sponsored the Capitole du Libre 2018 (250 EUR) and Buildroot Developers Meeting 2018 in Edinburgh (250 EUR) events. And of course, we support the LWN.net on-line weekly column through a corporate subscription (810 USD). We have plenty of ideas for 2019, so stay tuned for more news. We hope that 2019 will be a great year for you too, with many contributions of all kinds to the lives of others. We regularly post about Bootlin contributions to the Linux kernel, but we more rarely post about our U-Boot contributions. Even though we are a bit less active in U-Boot than we are in Linux, we do quite a bit of upstream U-Boot work as well. In this blog post, we do a review of our most significant U-Boot contributions in 2018. Maxime Ripard contributed support for using multiple U-Boot environments. Thanks to this, multiple U-Boot environment backends can be compiled into a single U-Boot binary, so that it can support falling back to a different environment backend if needed. For example, U-Boot can try to load an environment from a file in a FAT partition, and if that fails, try to load from raw MMC storage. As explained by Maxime Ripard in his cover letter, this is useful to help converting Allwinner-based platforms from an environment stored in raw MMC to an environment stored in a FAT partition. Miquèl Raynal contributed support for the Allwinner A33 based Nintendo NES Classic platform. It was also the first Allwinner A33 platform supported in U-Boot that boots from NAND, so as part of this work, Miquèl had to change the Allwinner NAND driver used in the SPL to make it work on Allwinner A31, which required using PIO transfers instead of DMA, and a number of other changes. Miquèl Raynal contributed generic support for TPMv2, and also specifically support for TPMv2 chips over SPI. We will publish a more detailed blog post about this topic in the near future. Quentin Schulz improved the env import command so that it can filter the environment variables it loads from the provided environment. This allows to white-list only a few selected environment variables in cases where the system is locked down by secure boot, but we still need a small writable U-Boot environment to store a few variables. As part of this release, Miquèl Raynal also contributed a few TPM-related fixes. Miquèl Raynal contributed a lot of changes in the MTD subsystem, which brought support for SPI NAND flash memories in U-Boot. We described this work in a previous blog post. Boris Brezillon helped by submitting a number of fixes related to this effort. Miquèl Raynal contributed a new mtd command, which can be used in a generic way to access all flash memories. This command will replace commands such as sf, nand, etc. We will publish in the near future a separate blog post about this topic. Quentin Schulz contributed a SPI controller driver for the ARM PL022 SPI controller, which we are using on an old STMicro SPEAr600 platform. Maxime Ripard contributed a brand new subsystem to support One Wire devices. This work was initially started by Maxime years ago as part of our work on the CHIP platform from Nextthing, and was picked up by Eugen Hristev from Microchip who pushed it all the way to upstream U-Boot. Grégory Clement contributed the support for the Microchip/Microsemi Ocelot and Luton MIPS platforms, which includes the core code, but also a GPIO driver and a pinctrl driver. Boris Brezillon contributed a number of fixes in the MTD subsystem to address various issues introduced by our work on this subsystem in the previous release. Quentin Schulz contributed support for the VSC8574 and VSC8584 Ethernet PHYs from Microchip/Microsemi. Miquèl Raynal improved the NAND controller driver for Marvell platforms by adding raw read support, which was used to add support for NAND chips using 2 KB pages and a ECC strength of 8 bits. Overall, during this year, Bootlin engineer Miquèl Raynal contributed 90 commits, Maxime Ripard 33 commits, Boris Brezillon 24 commits, Quentin Schulz 14 commits, Grégory Clement 9 commits and Mylène Josserand 2 commits, a total of 172 commits, including some significant new features: SPI NAND support, TPMv2 support, One Wire subsystem, Ocelot and Luton platform support, ARM PL022 SPI controller support, support for additional Ethernet PHY, support for multiple environments. We expect to continue our involvement in upstream U-Boot development, starting with a new network driver for the Microchip/Microsemi Ocelot and Luton platforms. The Linux 4.20 kernel has been released just before Christmas, on December 23. As usual, LWN had a very nice coverage of the most significant features and improvements provided by this new release as part of the merge window articles: part 1 and part 2. Bootlin once again contributed to this Linux 4.20 release, with a total of 216 non-merge commits, which puts us the 13th contributing company by number of commits and the 8th contributing company by number of lines changed, according to LWN statistics for the 4.20 release. Antoine Ténart reworked how the “software thread” mechanism is handled in the mvpp2 network driver, used on Marvell Armada 375 and 7K/8K. Maxime Chevallier added logic to support 2.5G speed in the mvneta driver, but this logic is not enabled yet, as we don’t have the necessary COMPHY driver for Armada 38x to really allow using 2.5G speed. Miquèl Raynal added suspend/resume support for the Armada 37xx clock driver. This is part of a larger work to enable suspend/resume on the Armada 37xx platform. Miquèl Raynal improved the Marvell ICU driver to support SEI interrupts. The ICU is the Interrupt Collector Unit, found on Marvell Armada 7K/8K. It turns wired interrupts from a part of the chip called the “Communication Processor” (CP) into message interrupts so that they can be notified to the other part of the chip called the “Application Processor” (AP), which contains the CPU core and GIC. Thomas Petazzoni introduced some common code in the PCI subsystem to emulate a PCI root port bridge, and converted the pci-mvebu and pci-aardvark drivers to use it. pci-mvebu already had such an emulation logic, but since it became also needed for pci-aardvark, we turn it into a piece of common code so that it can be shared by both drivers (and perhaps others in the future). pci-mvebu is used on Marvell Armada XP, 370, 375, 38x, while pci-aardvark is used on Marvell Armada 37xx. Paul Kocialkowski contributed the Cedrus VPU driver, with for now just MPEG2 decoding support. This work was done thanks to the successful crowd-funding campaign we did in February/March 2018. Paul Kocialkowski contributed a few fixes to the sun4i DRM display driver. Alexandre Belloni got the first step of the clock drivers rework merged. The purpose of this rework is to move from a Device Tree representation with one Device Tree node per clock to a much simpler representation with only one Device Tree node for the whole clock controller. The SAMA5D2, SAMA5D4, AT91SAM9260, AT91SAM9x5 at AT91SAM9RL clock drivers have already been converted. Other platforms and DT changes will arrive in future releases. Boris Brezillon contributed a few minor fixes for the vc4 DRM driver. As the subsystem maintainer, Alexandre Belloni as usual did a number of cleanups and improvements in numerous drivers, especially to use more modern APIs where possible. Quentin Schulz contributed extensive support for the Microsemi VSC8574 and VSC8584 Ethernet PHYs. Subsystem maintainer Boris Brezillon did a lot of changes to pass a nand_chip object to numerous NAND subsystem hooks, and fixed all the drivers accordingly. Boris Brezillon also deprecated a significant number of NAND subsystem hooks, by introducing a nand_legacy structure with legacy hooks. This should encourage developers to move their drivers to the more modern MTD/NAND APIs. rtc: test: make license text and module license match. The Linux I3C community has its mailing list. Besides the first I3C controller driver we wrote for the Cadence I3C Master, Synopsys has contributed a second driver for their I3C master IP: i3c: master: Add driver for Synopsys DesignWare IP. This definitely helped show that there is interest in I3C beyond our contributions, and also helped validate that the subsystem was working fine for a different I3C controller. The Linux I3C tree has been part of linux-next since November 6, 2018: linux-next: Tree for Nov 6. The Linux I3C subsystem has received a Reviewed-by: Arnd Bergmann and later on a Acked-by: Greg Kroah-Hartman, which were two key approvals to move forward with the merging of I3C support. I3C subsystem maintainer Boris Brezillon has therefore sent a pull request to get this subsystem merged in the upcoming 4.21 (or 5.0 ?) Linux kernel: [GIT PULL] i3c: Initial pull request, and this pull request has been merged by Linus Torvalds, so the I3C subsystem is now visible in Linus Git tree: drivers/i3c. The merge commit has been done on December 25, so it arrived as a very nice Christmas present! It has been a long process, but we are proud and happy to have pioneered the support for I3C in the Linux kernel, from the design of the subsystem based on the I3C specifications all the way to its merging in the upstream Linux kernel and the creation of a small (but hopefully growing) community of developers around it. This year, Bootlin engineer Maxime Chevallier attended the Real-Time Summit, which took place after ELCE in Edinburgh. In a similar fashion to the Linux Media Summit, this was a 1-day conference dedicated to Real-Time topics in the Linux ecosystem, more specifically the Linux Kernel. Real-Time (or should we say, deterministic) behavior in the Linux kernel has been pursued for a long time, the most famous effort being the Preempt-RT patch. As Steven Rostedt announced during his talk at ELCE 2018, the Preempt-RT patch is close to being fully merged in mainline Linux, we can expect to see this happen in 2019. Some of the maintainers of the Preempt-RT patch were present at the Real-Time summit, including Thomas Gleixner who lead the discussion throughout the day. Printk : As Steven Rostedt explained at ELCE 2017, printk is not very real-time friendly. The main issue was worked around, but John Ogness presented his current work of fully redesigning printk’s behaviour. Thomas Gleixner talked about the current state of softirq handling, which is also a critical point for determinism. They work by “stealing” some irq context time, falling back to ksoftirqd when necessary. This is particularly problematic for networking drivers that heavily rely on softirq. Peter Zijlstra exposed the different scheduler related issues that needs to be addressed, focusing on SCHED_DEADLINE. All the talks weren’t about the Preempt-RT match merging effort. Daniel Bristot de Oliveira presented his ongoing academic work on modeling the Linux task model. The idea here is to build a formal model that doesn’t take shortcuts or idealize the way tasks are handled in the kernel, so that this can be used as a basis for academic research on topics such as scheduling. One of the main arguments is that there’s a gap in terms of language and methodology used between kernel developers and the academic world. Daniel explained how he managed to build a huge state-machine representing the task model, and how he uses it now to verify that tasks behave how they should by running trace events in the state machine. This talk sparked a lot if interesting discussions, for example Peter Zijlstra suggested to compile the state machine into eBPF code and run it live in the kernel. Julia Lawall was present in the room, and improvised a talk inspired by Daniel’s presentation. She presented DSAC, a static analysis tool dedicated to finding Sleeping in Atomic Context bugs. Julia is involved in the development and use of the coccinelle tool, and explained that it is quickly limited when trying to find that categories of bugs, where sleeping calls can be deeply nested in a call stack protected by spinlocks. Using LLVM, DSAC can analyze complex scenarios with multiple level of nesting and indirect calls to detect SAC bugs. After analyzing the v4.17 kernel sources for only a few hours, the tool was able to detect more than 1000 bugs, 220 of which were confirmed. The overall technical level of the different talks was high, leading to passionate discussions and suggestions on every topic that was brought during the day. The 2018.11 release of Buildroot was published a few days ago. As is well-known, Bootlin is a strong contributor to this project, and this blog post proposes a summary of the new features provided by 2018.11, and highlights the contributions made by Bootlin. What’s new in 2018.11 ? From a CPU architecture support point of view, by far the most important addition is support for the RISC-V 64 architecture. For now, only the 64-bit version of the architecture is supported, but the patches for the 32-bit version have been posted already, and will hopefully be merged for the next release. It is worth mentioning that we have already used the RISC-V 64 support in Buildroot to provide a pre-built toolchain for this architecture on our toolchains.bootlin.com site. In the toolchain support area, the most important change is that glibc was upgraded to version 2.28. This caused a number of build issues with various packages, which were detected by the project autobuilders and fixed. musl was bumped to version 1.1.20, and the ARM (formerly Linaro) pre-built toolchains for ARM and AArch64 were updated. The support for hardening flags, i.e flags passed to gcc to improve the “security” of programs, has been changed, and is now done directly as part of the compiler wrapper that Buildroot has. Indeed, when using Buildroot, arm-linux-gcc is not directly the usual gcc compiler, but a small wrapper program that Buildroot uses to make sure we always pass the appropriate flags when calling the cross-compiler. Passing those hardening flags through the wrapper allowed to solve a number of build issues. Options such as BR2_RELRO_PARTIAL, BR2_RELRO_FULL, BR2_SSP_REGULAR, BR2_SSP_STRONG and BR2_SSP_ALL should therefore work better now. In terms of filesystem images, while Buildroot already supports the most popular filesystem types, two additional filesystems are now supported: btrfs and f2fs. A number of new default configuration for various boards have been added: Amarula a64-relic, Bananapi m2 ultra, Embest riotboard, Hardkernel Odroid XU-4, QEMU riscv64-virt. A number of packages have been added: bird, bluez5_utils-headers, btrfs-progs, checksec, davici, duktape, ell, haproxy, libclc, libcorrect, libopencl, libopenresolv, nss-myhostname, riscv-pk, sedutil, spandsp, tini, waffle, xapian, not counting the dozens of new Perl and Python modules that have been added. By far and large, the most significant contribution from Bootlin to Buildroot is the activity of Thomas Petazzoni as a co-maintainer for the project. Out of the 1366 commits made between the 2018.08 and 2018.11 release, Thomas authored 126 commits, but more importantly reviewed and merged 883 patches from other developers, or in other words 64% of the commits that have been made. 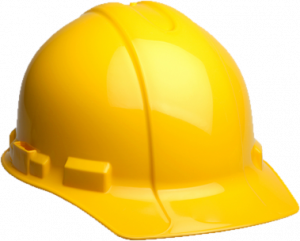 Fixed a large number of build issues reported by the autobuilder, or by the CI testing the build of our defconfigs. Introduced a make check-package target to more easily use Buildroot check-package tool to verify the coding style of packages. Updated the musl C library to 1.1.20. Updated the Solidrun MacchiatoBin defconfigs (board powered by a Marvell Armada 8K processor) to use the most recent kernel, U-Boot and ATF versions. Started adding a virtual package for opencl. Fixed a number of missing dependencies on host-pkgconf (i.e pkg-config) which were detected by our work on per-package directories, that we will discuss in a future blog post.